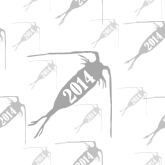 This interactive "atlas" provides group-by-group taxonomic summaries of all plankton data currently available in the COPEPOD online database. For each major plankton grouping, data coverage maps (global and by-season) and a full taxa name listing (the species and names recorded) are provided. Each summary page also provides a link so you can download a "compilation" of all group-relevant samples for that taxa group. Each compilation is created by selecting only those group-member taxa from each data sub-collection present in full COPEPOD. These are not new COPEPOD data, only 'conveniently repackaged' data from the individal COPEPOD data collections, based on the "short format" data export option. 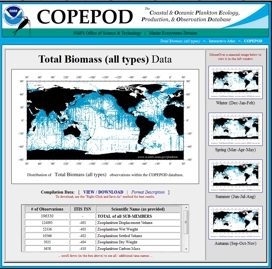 These compilations are useful when you are only interested in "diatom" data or "copepod" copepod or "biomass" data for the entire world. If you want the full meta data or all identified taxa groups within the sample, you should use the full content data present in the regional or individual collections. The majority of the total biomass data in COPEPOD were sampled with ~300 um mesh nets and thus represent mesozooplankton biomass. These "biomass" data include both bio-mass and bio-volume techniques, split out into their general measurement methods below. Most data are for "entire net catch", but some size-fractioned data are available. The raw data available here exist in their original mesh sizes and depth intervals. 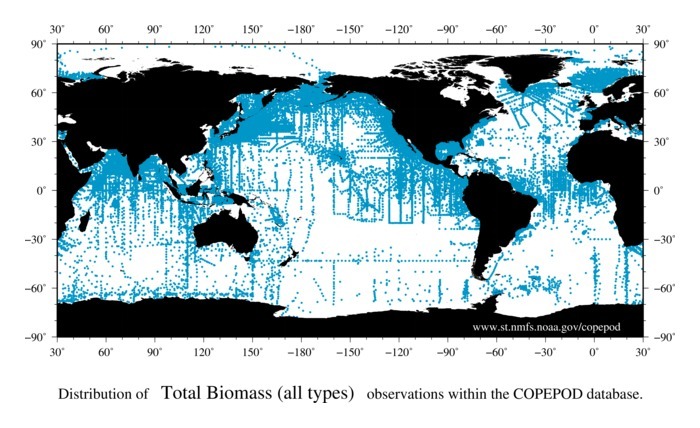 In the "Global Zooplankton Biomass Fields" section, you can download a version of these data which have been standardized to a common mesh size, depth interval, and optionally calculated to carbon mass. to see a preview of that map. 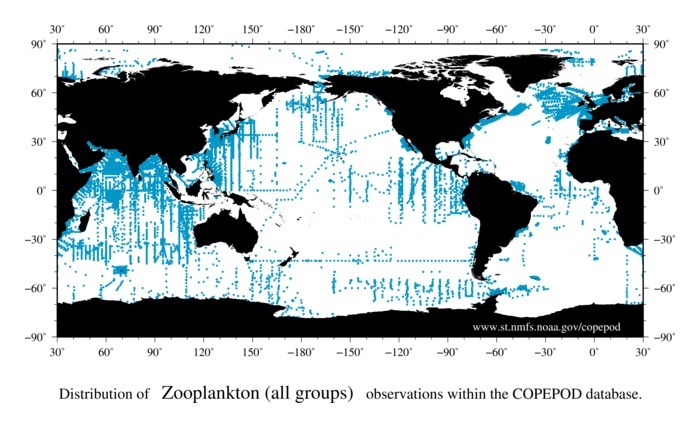 The taxonomic resolution and speciation of zooplankton data in COPEPOD varies from data set to data set. Distribution maps are available for each of the major taxonomic groups via the links to the left and below. While COPEPOD is clearly dominated by zooplankton data, a growing collection is phytoplankton data is being pursued in collaboration with the WGPME and WG137 phytoplankton working groups.. Stay tuned! Two important things to consider: (1) Much of the historical phytoplankton data in COPEPOD is only "absent/present/rare/common" non-numeric data. (2) Some of the large project data (i.e. the Indian Ocean IIOE and/or Antarctic ELTANIN cruises) snagged larger diatoms in their 300 um zooplankton nets. While the maps shows data points for these "data", they are of limited numerical use and are often only classified to a general class like "diatom" (not to species or even genus). Like the phytoplankton data, this category is likely to grow as collaboration continues with the WGPME and WG137 phytoplankton and microbial ecology working groups. The majority of the "ichthyoplankton data" in COPEPOD consist of unidentified larvae and egg counts. Speciation is mostly absent, but the data may exist in the individual NMFS research programs (SEAMAP, CalCOFI, MARMAP).